Israeli soldiers stationed at the al-Karama Border Terminal between Jordan and Palestine abducted, on Thursday, a Palestinian journalist working for Palestine TV, while he was heading back home after receiving a journalism award in Egypt. The journalist, Bakr Abdul-Haq, was returning to Palestine from Cairo, after receiving a journalism award for his reports and accomplishments. 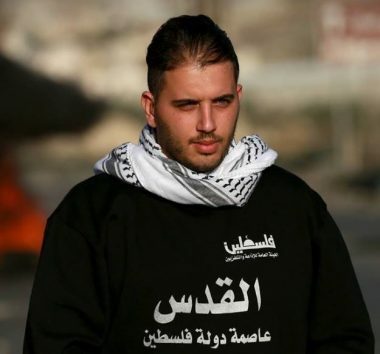 The Palestinian Journalists Syndicate strongly denounced the abduction of Abdul-Haq, who was moved to the al-Maskobiyya interrogation facility, in occupied Jerusalem, without any explanation, or charges. It added that Israel is currently holding captive thirty journalists, in direct violation of International Law and various international and humanitarian resolutions. His family was not informed about his abduction, and started looking for him, and asking various legal and human rights groups, to later find out that he was abducted by Israel at the border terminal. Prior to returning to Palestine, the journalist wrote a post on his Facebook page stating that he received the award in Cairo, and expressing his gratitude and pleasure in meeting many dedicated professional journalists from several parts of the Arab world.